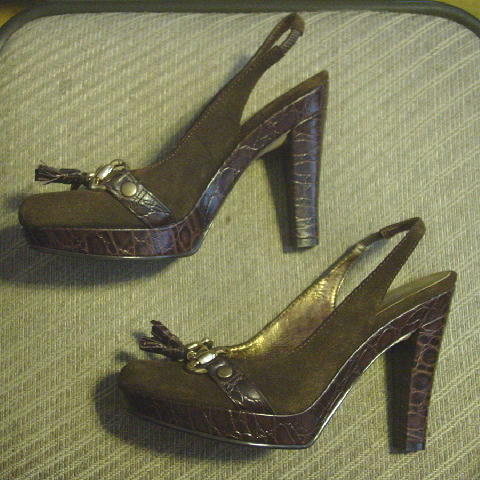 These brown leather platform shoes are by Nine West. 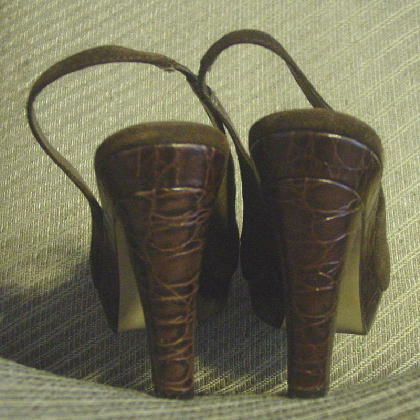 They're in dark brown suede and an embossed alligator leather. They have golden-copper leather linings and padded insoles. 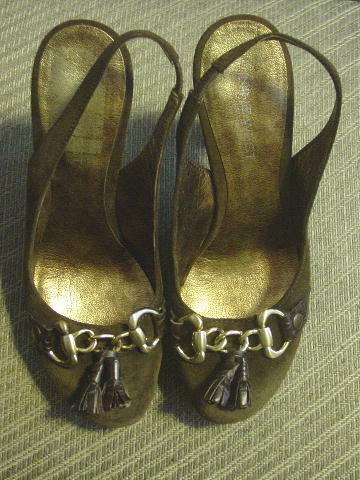 There are rounded toes and gold-tone metal link accents on the vamps with two embossed alligator tassels on each. The sling backs have little elastic inner side panels.